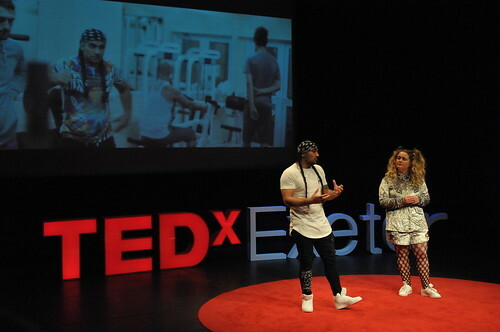 TEDxExeter was the first event we were able to livestream. We made high-definition live feeds available to events at specific locations, and the opportunity was seized upon enthusiastically by Exeter Library, the Police, several of our sponsors, many schools and other organisations in Exeter. There was also a public standard-definition feed available globally on our website. The following is quite long, but we hope it will be useful and ideas-provoking for any organisations considering getting involved next year. 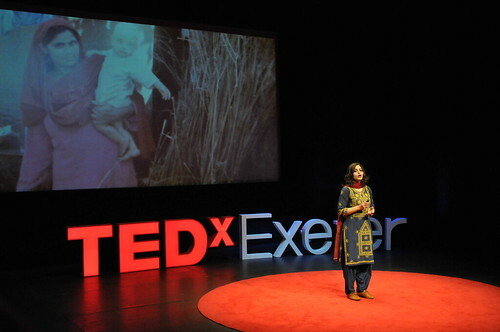 Exeter Library streamed the whole day to ticket holders, hosted by Rupa from TEDxExeter. This was the only livestream event open to the public. TEDxExeter provided Before I Die boards and pledge cards as used at the main event. Tickets were free, the capacity was 80, and all were taken. But experience shows that people tend not to value what is free, and unfortunately several did not turn up. Devon & Cornwall Police and Dorset Police held a joint event, streaming the whole day live to 100 senior managers at Middlemoor. They were very appreciative and found “real value to us in taking part”. They “clapped all the speakers” and “kept a good sized audience until the end despite many 2 hour journey times to travel on a Friday night”. They also used the Before I Die boards and pledge cards, and found they worked well even though “our culture is by nature not quick to partake in such activities”. 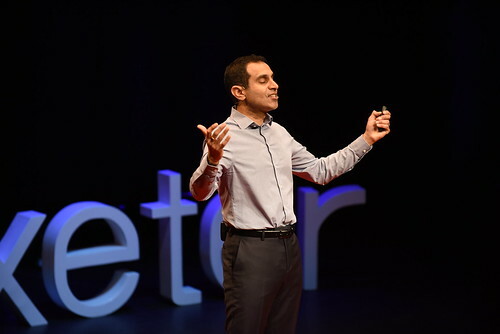 TEDxExeter alumnus Alberto Arribas arranged for the day to be streamed at the Met Office. Staff were able to pop in and out during the day, as work allowed. St Peter’s School used the feed in classrooms, and set up a venue for parents and staff to drop in and watch. During the day, they reported: “Great stuff so far! 250 Year 10 GCSE English students in classes watching TEDxExeter. 50 visitors to our venue and other classes engaged across the school. Before I Die board has been filled 4 times and there’s post [pledge card] in the TED box!” They typically showed a talk then discussed it in class. For example, one teacher wrote “we discussed why free breakfasts are so important and they were really surprised that so many people they go to school with could be going hungry every day. I think it made them think about what they take for granted”. Another teacher said “the students and parents I chatted with clearly really valued this opportunity”. And the students cheered when St Peter’s was mentioned in the introduction to the day! Teachers at Exeter College also used the talks in specific classes, engaging in the region of 200-400 students. They also set up a live lounge for watching in the afternoon. 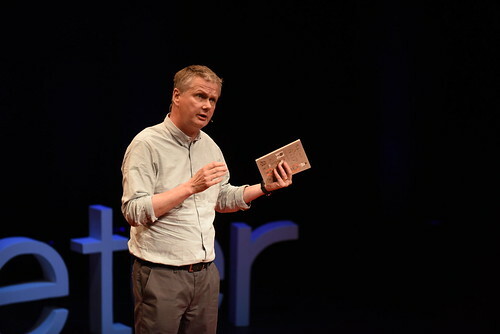 In Exeter School, “There was ‘rotating’ audience watching the livestream in our sixth form common room throughout the day, and they [an estimate 30-40 viewers] appeared to be fully engaged and absorbed with many of the speakers and films.” A few teachers also used the talks in specific classes, with about 50 students. St Loye’s Foundation were a late entry. They had a hub room for people to dip in and out, and some staff took the day off to watch from home, and were in email contact through the day. At at ony time, 5-10 people were in the hub, and 20-40 watched altogether. Although they loved the event, they “could have had better group viewing had we organised it in a less rushed manner at our end”. The Civic Centre streamed the event in one room all day and invited people to dip in. They wanted to keep it simple and gauge interest, so this time did not use the Before I Die boards or pledge cards. They probably had somewhere between 10-30 people watching. The standard definition feed was hosted on the website of our sponsor Websites Ahoy! 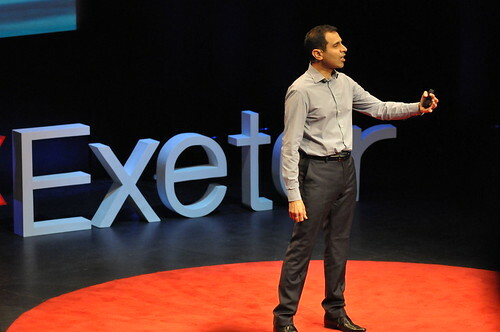 as well as on the TEDxExeter website. 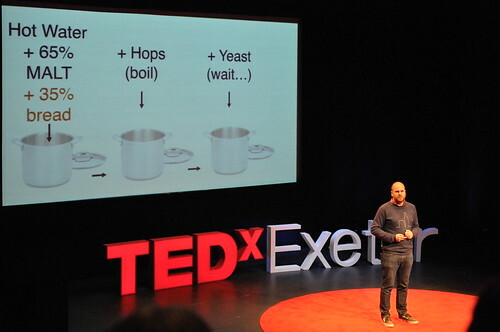 We could not provide a feed on a website with advertising, so the Express & Echo provided a link to TEDxExeter.com. In total, the feed pages received 672 visitors during the day. Our feed provider, First Sight Media, reported viewers from 37 countries, including the US, Iraq, Nepal, India and Qatar. How did it work technically? The high-definition feed worked well in most locations, with few technical issues. St Peter’s and Exeter School reported brief buffering occasionally during the day, but the feed was otherwise smooth and excellent quality. The main exception was the Library, which used a wifi connection also available to the other Library users, and lost much of the first session to buffering. It improved when switched to standard definition, but the feed really needs a cable connection. St Loye’s said “it all worked really well on our Big Screen!” Southernhay House also said it “worked fine on our TV”. Exeter School queried the lighting of the speakers, especially the hosts introducing the sessions, but recognised that “the ambient lighting in our chosen location was not perfect for such a projection”. Any other thoughts for next time? The general view seemed to be that it was really good to get together to watch and discuss the talks, whether for the whole day or just to focus on one or two talks. But several thought they could make even more of the opportunity in the future. 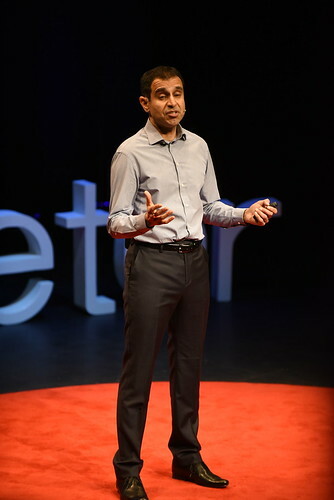 St Peter’s thought it would “be great if we can make this an annual event and grow it with more time to plan it into our calendar.” Exeter School made a good point about how their staff needed more information in advance to assess whether it would be appropriate to use teaching time to watch each talk. But they now know that “there were many talks that staff would like to have used” and may well use the videos when they become available shortly. St Loye’s joined up in the week of the event, so had little time to plan. In the future they would like to link up their different offices and in Exeter organise the day as a group activity similar to the events run in the library etc. They would make it a ‘St Loye’s listening experience’, and advertise it to attract more customers to the streaming. What did the punters think? I collated the Twitter response to the main event at the Exeter Northcott Theatre elsewhere. Here’s the reaction to the livestream. @ExeterLibrary All ready to go at the Exeter Library live stream event of @TEDxExeter. We are thrilled to be hosting such an event. @rupachilvers And we are watching from Exeter Library live steam with our wonderful #TEDxExeter guests. Looking forward to the day. I spotted six Twitter accounts publishing some very interesting tweets about the event at Middlemoor. @ACC_Operations #TEDxExeter D&C police breaking the mould and hosting a TED event. Interesting speakers on a range of issues . @tanyacroft1 Looking forward to today’s live stream of #TEDxExeter. Hoping to be inspired! @InspCostin At HQ waiting for #TEDxExeter to start. Looking forward to listening to some very inspiring speakers. 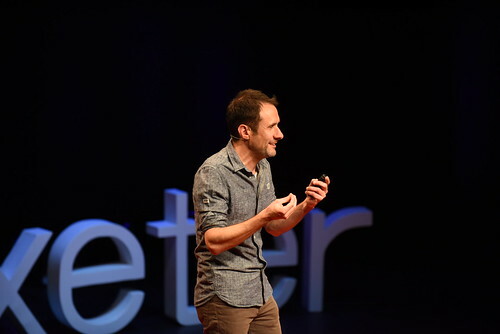 @DC_Police #TEDxExeter ‘taking the long view’ what does that lead to…kids arrive late, can’t concentrate & poor behaviour – hungry kids is not just! 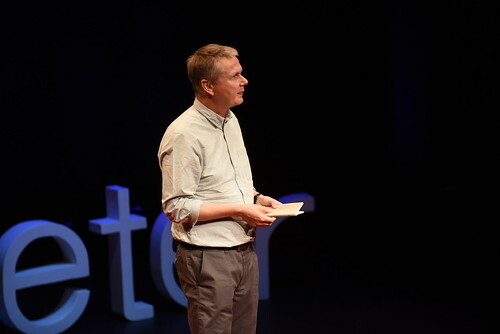 @DC_Police #TEDxExeter Clive Stafford Smith says we should understand people & mental health to try & prevent things happening in the future – so true! 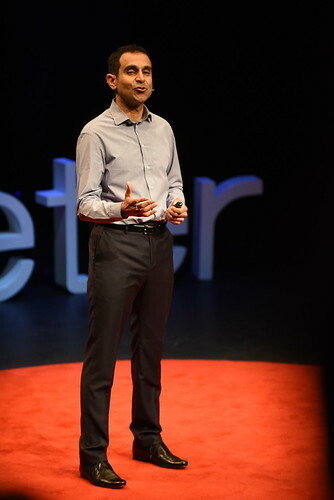 @DC_Police #TEDxExeter we need to prioritise & embed social & emotional learning into education-UK has seen 300% increase in self-harm in last 10 yrs! 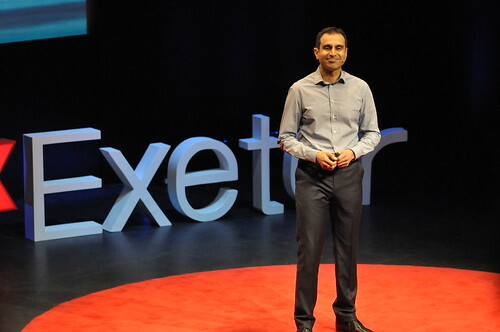 @InspCostin At HQ #TEDxExeter event. Great quote ‘labels inhibit ability to create new identity and new narratives’. So true. 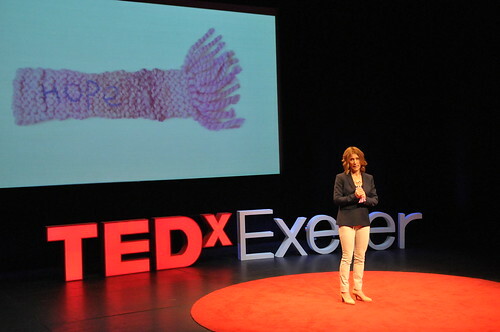 @DC_Police #TEDxExeter amazing & inspirational talks – Jenny Sealey asks ‘why are deaf & disabled people considered second class citizens’ – yes, why? 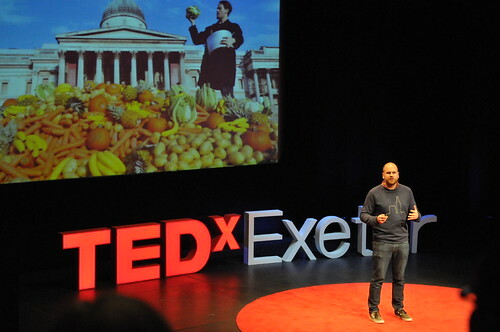 ‏@tanyacroft1 Fantastic day – thank you to all the #TEDxExeter speakers – I need to digest it all over the weekend now! 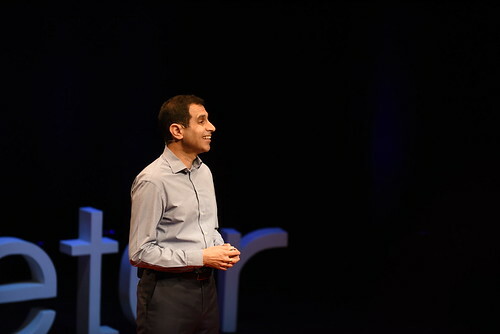 @DC_Police the end of a fantastic day of inspirational talks- ‘taking the long view’ – together we CAN make a difference – thank you #TEDxExeter! 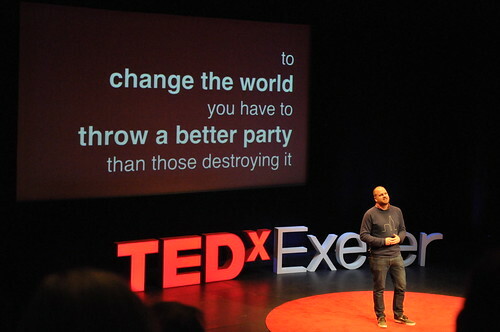 @PLHexeter Loved TEDxExeter today. 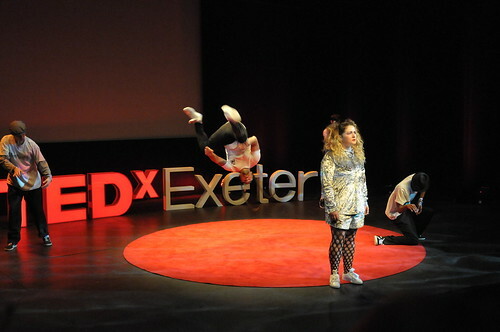 @TEDxExeter can we use the Before I Die boards in Heavitree Pleasure Ground? 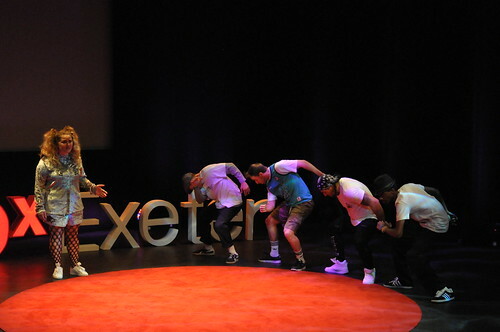 @JhenArlo Production Team TEDxExeter! These guys are so professional! My mum and grands watched from St Lucia- clear as a bell! 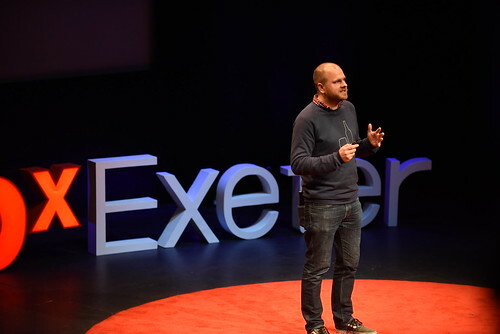 @WolfClose #TEDxExeter we all have the power to influence education. We must find ways to do so. Powerful speakers. Thanks for the live stream. 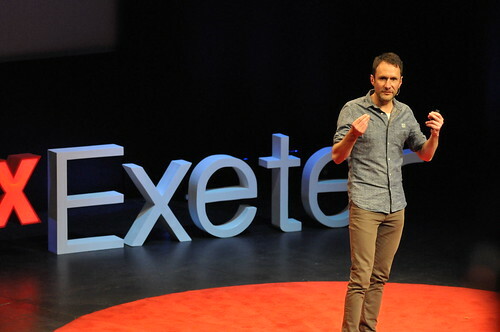 @friendlyseagull @TEDxExeter Thank you for the live stream!